Sabic showcased a broad portfolio of innovative design and material solutions at Plastindia 2015, which was held in Gandhinagar, Gujarat, February 5-10, 2015. With a history in India that spans more than 20 years, Sabic has a deep understanding of customer challenges in India, particularly in the automotive, rail, electrical and lighting industries. "We were very excited to be a part of Plastindia 2015," highlights Janardhanan Ramanujalu, Sabic vice president and regional head, South Asia and Australia. "Throughout our presence in India, we have embraced the challenge to help our customers find the right answers, and some of them will be showcased at Sabic’s Plastindia show booth. We are proud of our Vadodara facility, which has contributed to the country’s best-in-class manufacturing infrastructure in Innovative Plastics and of the expertise we’ve developed in industries such as automotive, rail, electrical and lighting, addressing our customer needs in India." Sabic is working closely with the automotive industry to help them develop lighter vehicles with lower emissions and improved fuel economy. Some examples of this collaboration were on display at PlastIndia. For example, Sabic showcased a lightweight aero corner panel on the 2014 Condo Pro 6031 truck of Volvo Eicher Commercial Vehicles (VEVC), a joint venture between the Volvo Group and Eicher Motors. Sabic’s Noryl GTX 989 resin helped reduce the weight of the truck’s aero corner panel by approximately 37 per cent versus sheet metal. The material delivered a number of additional benefits, such as parts integration, increased design flexibility, corrosion resistance and improved impact resistance. In addition to displaying production parts with demonstrated weight savings across various applications on both passenger vehicles and heavy trucks, Sabic is featuring highly promising concepts like an all-thermoplastic tailgate that can potentially help automakers realise weight savings of up to 30 per cent or 12.5 kg compared to tailgates of a similar size using conventional materials, while also meeting requirements for stiffness and strength. India’s dynamic economic growth and modernisation over the past several years has led to a significant increase in energy consumption. According to the US Energy Information Agency (EIA), India is the fourth-largest energy consumer in the world, trailing only the US, China and Russia. These rising energy needs have led the Indian government to develop policies and initiatives that encourage investment in the energy sector, including the adoption of more efficient LED lighting and the development of solar energy technologies. Sabic works with industry leaders in all parts of the LED lighting and solar value chain and offers expertise and experience with design, application processing, and material solutions that help drive innovation and spark new ideas. For example, Sabic’s Lexan resin portfolio of polycarbonate (PC) materials for the lighting industry, which includes flame retardant grades, offers designers a range of choices to help them meet industry challenges. This includes resins with excellent weathering resistance, colour stability and high transparency, making them particularly good candidates for streetlamps, an area where LED lighting is seeing significant growth in India. Sabic has responded to the growing demand for solar energy by providing solutions that specifically address customer challenges. One example is the Schneider Electric Solar UPS Inverter (on display at Sabic’s booth). 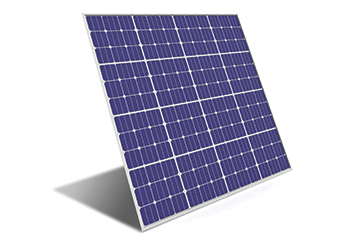 Solar inverters are usually placed outdoors close to the solar panels. Given their size and weathering requirements, inverter enclosures are traditionally designed in metal. However, metal can require considerable machining, which adds to production time, and extensive painting to overcome corrosion issues. Sabic provided Schneider with the design and processing support required to convert their metal inverter into plastic. The design addressed key requirements like ease of manufacturability, part optimisation, aesthetics, mechanical performance and low warpage. Schneider selected Sabic’s Lexan EXL resin for its ability to meet impact strength at sub-zero temperatures and damp heat test at above 2,000 hours. With a growing middle class in India and more people moving from rural and suburban areas to urban centers, there is an increased demand for reliable, appealing and long-lasting transportation solutions that can withstand the high usage demands placed on municipal infrastructure. This is particularly relevant to the Mumbai rail network, perhaps the most densely packed and intensively used rail network in the world. With support from Sabic, the Integral Coach Factory (ICF), located in Chennai, designed a three-seat modular system using injection-moulded polycarbonate to replace conventional single thermoformed seats. In addition to receiving rail ministry and passenger accolades for the seats’ comfort and appearance, the new three-seat design is easy to maintain, resistant to weathering and vandalism, more sustainable and meets internationally-recognised rail car standards for flame resistance. ICF selected Sabic’s Lexan 923X resin for its excellent strength and scratch resistance and its compliance with international rail regulations, such as flame retardance and smoke density regulation UIC 564-2, app 11, and toxicity regulation NCD 1409. Additionally, the high-flow resin enables the seating to be manufactured using injection molding, a process that is more efficient than traditional thermoforming, which can take days compared to hours. 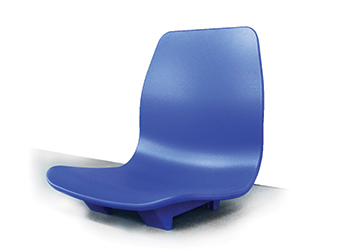 The injection-molded seat system can also be recycled at the end of its life; unlike thermoset materials which are not recyclable. Reducing energy consumption in the construction industry is a major priority for builders and architects around the world. Sustainable urbanisation is critical for India, where according to a recent McKinsey report, urbanisation rates are set to grow from 340 million in 2008 to 590 million in 2030. Sabic will display a broad range of material solutions at Plastindia that will help respond to this challenge. Sabic’s versatile Lexan sheet portfolio is an excellent candidate for a variety of structures and applications such as roof glazing and anti-vandalism glazing. Comprising solid and multiwall sheet and systems, the Lexan portfolio offers an array of benefits such as lightweighting, ease of installation, and energy conservation. These solutions help customers tap into the sustainable building market while mitigating installation and energy costs. They can even contribute to LEED certification efforts by providing natural light, optimising energy performance and utilising recycled content. Following in the footsteps of the Vadodara facility, which is the largest of its kind in the country, Sabic established its Technology Centre (STC) in Bangalore. This LEED Gold and GRIHA 4 star certified facility has brought the company’s research closer to the Indian market and has also tapped into local talent in order to develop solutions that are tailor-made to local requirements. Both the Vadodara facility and the STC are aligned with the Indian government’s "Make in India" programme. Sabic also supports local communities through a number of CSR initiatives. From its blood donation drives organised at Sabic locations to an eye care initiative that has supported up to 10,000 underserved children, Sabic continues to demonstrate its commitment to the community. "We are proud of our role in supporting the Indian government’s Make in India strategy," says Ramanujalu. "Our goal is to continue advancing the industries where we have demonstrated market leadership."